As you are probably already aware, the GameCredits Mobile Store is set for launch in Q2-Q3 of 2017. Over 300 mobile games and gaming developers are already signed on to the launch of the mobile store. Gamecredits will be the featured currency for all in-game content purchases with the mobile store. Build a decentralized virtual gaming marketplace where gamers can trade in game content and items. Create decentralized tournaments where gamers can participate and receive rewards based on gameplay results. Build an advanced affiliate system. In addition, MobileGo token holders will be eligible for discounts and rewards when using the Gamecredits Mobile Store. Gamers who use the mobile store will have a profile. Discounts and rewards will be based on the status of that profile, how often they use the mobile app, how many games they play and how many MobileGo tokens they acquire. In our constant effort to innovate solutions for the gaming industry, we are announcing the creation of MobileGo tokens (MGO) to be issued on the Ethereum blockchain. These tokens will allow us to build several decentralized gaming solutions in our mobile platform. We are also pleased to announce MobileGo has gotten the support of several key partnerships, including Waves, BraveNewCoin, Newsbtc, Incent, developer support from the Ethereum community, and several cryptocurrency and business leaders in China. Funds raised in the crowdsale will do directly to marketing and to the further development of the Gamecredits Mobile Store. All believe all of these efforts will impact Gamecredits' value in a positive way. We are excited to introduce MobileGo, both as a way to build decentralized gaming products and as a tool to build further the Gamecredits brand. Our tentative date for the crowdsale is april. To learn more about MobileGo tokens and the crowdsale, visit www.mobilego.io. From there, you can sign up for news and updates including bounties and early bird specials. Over 300 Mobile Games To Start, Expanding To 1000s of Games in 2017. 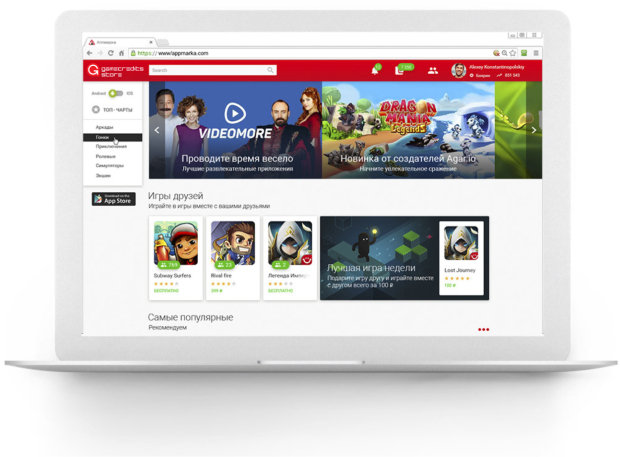 There has been some confusion around the difference and overlap between MobileGo and gamecredits. This article aims to clarify their respective use cases. The gamecredits community has been working towards the same end for three years now, since the GAME blockchain was first launched (albeit under a different name). Cryptocurrency offers significant advantages for gamers, who often struggle to move money into, out of and between in-game economies due to the frictions and inefficiencies of the fiat banking system. These are well known to gamers and need no further explanation. GAME’s growth from its early days speaks for itself. It has outperformed every other cryptocurrency over the long term. In large measure this is due to its modest beginnings and slow, sustainable rise in value. 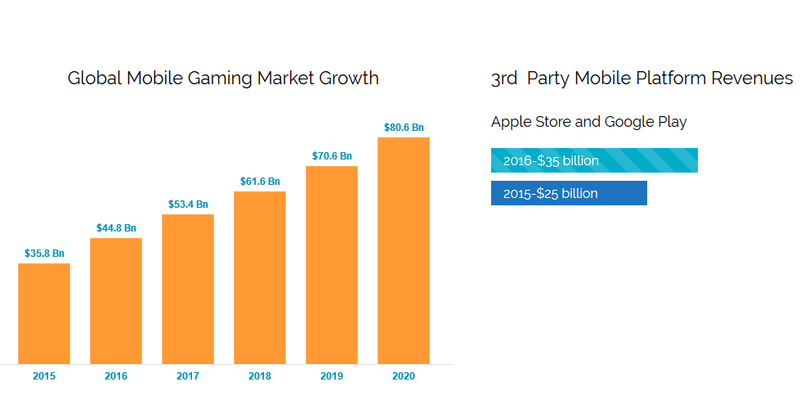 Thanks to recent upgrades in its wider ecosystem – particularly the wallet, which enables high user volumes and credit card purchases of the currency – it is now in a position to make a decisive impact in its chosen sector: the $100 billion gaming industry. All that is required are the users. The infrastructure is ready; now for the traffic. The MobileGo token and crowdfund is designed to bring the new users to GAME that will drive the currency forwards, with the intention of multiplying its value many times over through increased demand. MGO will not be the currency used to purchase games and to trade items within game economies: gamecredits is and will remain the only currency used for that purpose. 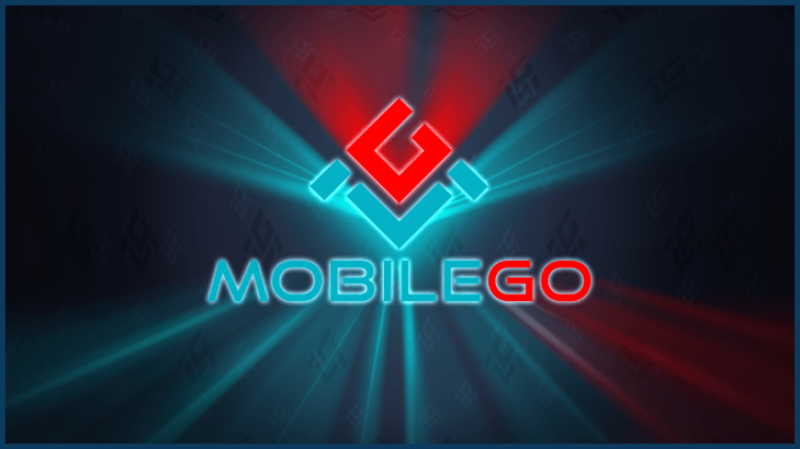 MobileGo is a marketing project and fund that will enable GAME to reach millions of new users. MGO does not compete with GAME, but complements it by ensuring that gamecredits can function as intended – as a payment protocol suitable for mass adoption. It is like a turbocharger fitted to a car’s engine: it allows the car to function more efficiently and effectively, without representing a direct drain on the engine’s resources (as a supercharger would, for the discerning petrolhead reader). To use another analogy, it is like the Intel chips that power the iPhone: technology created by a separate company that exists to enable others to build powerful and popular consumer electronic devices. For legal reasons and transparency, MobileGo Foundation is its own entity, but it exists in symbiosis with GameCredits and the gamecredits economy. Without MobileGo, the gamecredits coin would still exist, but it would struggle to achieve the degree of market penetration for which it has the potential, without the funding to push it forwards. With MobileGo funding its expansion with millions of dollars of investment, gamecredits has a strong chance of breaking into the mainstream – increasing its value many, many times over, as well as rewarding MGO investors directly. Additionally, the ability to execute smart contracts will mean that MobileGo can be used in the course of gaming tournaments, though this is the subject of a different article. We expect the demand for Gamecredits to increase as we get closer to the MobileGo crowdsale. We continue to secure more deals with more credit card providers. Soon you will see Latin American payment options as well as credit card processing from various parts of the world. Our goal is to secure as many payment options as possible, so users from every region of the world can purchase GAME. To access these payment methods, please visit our web wallet. For past week we have been in the process of migrating users from our old web wallet, https://wallet.gamecredits.org/ to our new web wallet, https://wallet.gamecredits.com/ . If you have an account on the old web wallet you can still access the wallet as normal, and transfer funds to any Gamecredits address (exchange address, new web wallet address, desktop wallet, etc). Users who have two-factor authentication enabled on the old web wallet will have a more challenging time migrating AFTER the old web wallet is taken down. However, it will still be possible. With that said, we recommend taking the time to move your funds as soon as possible. To make the process even easier. We have added a migration tool in our new web wallet. After the old web wallet is taken down, users will still be able to create an account on the new web wallet, and use our migration tool to access their old account. If you have any issues with migration, please contact us via email or on our slack channel. 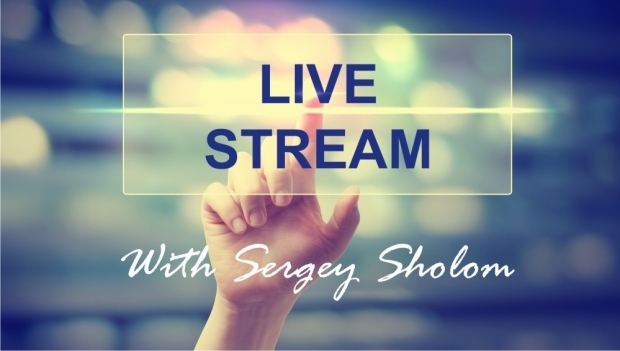 On March 27th 1:00 PM PST Sergey Sholom, VP of Business Development at Gamecredits and CEO of Datcroft Games, will host a 1 hour livestream (until 2PM PST). During the live stream Sergey will answer community questions about the Gamecredits Mobile Store and the future of Gamecredits Inc. This livestream will be hosted on both our Facebook page and our Twitter page. Please feel free to view from whichever platform you prefer. Sergey will answer as many questions as he can during the livestream. If you would like to have a question answered by Sergey, please email [email protected] with the subject ‘Interview with Sergey’. We will try and pick the most diverse group of questions possible. If your question does not get answered, join us on Slack and we’ll answer it there! Every MobileGo investor will receive an Incent bonus. But what is Incent, and why should you hold it? introduce the gamecredits community to an intriguing opportunity. Incent is a new kind of blockchain-based loyalty token. Just like MobileGo will be, it’s hosted on the Waves platform and can be transferred to the Ethereum blockchain through a neat piece of tech called blockswap. Incent’s proposition is called ‘Open Value’. Unlike traditional loyalty points – which typically cannot be transferred, can only be redeemed with one business, may expire, and generally offer little in the way of rewards for customers or repeat business for merchants – Incent can be freely transferred and traded thanks to the open nature of the blockchain. At the point of issuance and redemption, it is bought/sold on the open market. Thus it is actually worth something to customers and businesses – rather than the traditional fiat-style reward points that effectively function as nothing more than IOUs. Merchants don’t take on a liability when they issue rewards, and customers gain something of real financial value. Incent’s research has shown that businesses are attracted by this approach, and they have a series of prospects lined up for integration in the coming weeks and months. When Incent came to crowdfund their project at the end of 2016, they found that existing deposit tech was not fit for purpose. The MySql database used by most crypto crowdsales represented a serious point of failure. Even if the BTC collected were safe, what happens if the database is hacked or wiped? So the company built their own solution, which used the bitcoin blockchain itself as a ledger. Token balances are calculated directly from this, using bitcoin’s timestamps to determine any bonus rates. It’s a far more secure and transparent way of collecting funds, and several other initiatives have licensed it rather than building their own systems. Along the way, Incent also developed the blockswap tech that would allow tokens to be moved between the Waves and Ethereum blockchains. Together, this package of services was attractive enough for MobileGo to enlist the Incent team and use their deposit solution for their own crowdsale. Rob Wilson, Incent’s CEO, is also an escrow partner for the BTC funds. This is how Incent works with any other merchant – a configurable percentage of the purchase amount is used to buy INCNT off the open market (including Bittrex and Waves’ DEX), and send it to the customer. Customers can hold it, spend it with participating merchants (who will typically offer a discount for Incent purchases), or sell it on an exchange, if they wish. MobileGo investors can do exactly the same – it’s a bonus they can hold or sell as they wish. However, smart investors might like to do the maths. Gamecredits is a deflationary currency with a market cap of around $40 million (rising fast) that is about to see a major injection of liquidity and buy pressure thanks to MobileGo’s marketing war chest. The GameCredits community is rightly excited about this. Incent is also a deflationary currency – it has a static supply of 23 million. It raised $1.1 million at crowdsale, currently has a market cap of around $3 million, and is worth around 0.00011 BTC each. It, too, is about to gain an injection of cash from a series of merchant partners – starting with MobileGo. The laws of supply and demand suggest where both GAME and INCNT will end up. The MobileGo Initial Coin Offering (ICO) campaign has officially started! 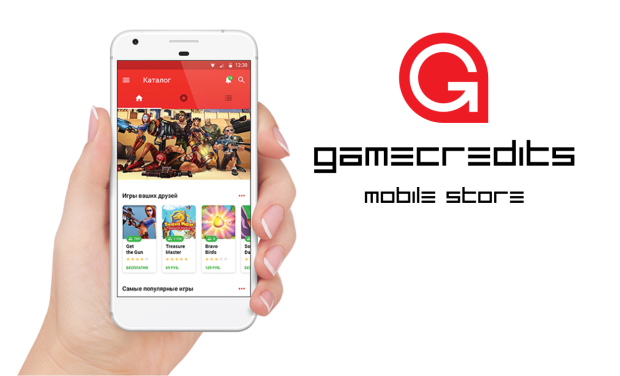 A project by GameCredits Inc., MobileGo will help gamify the company’s Mobile Store and create incentive systems for gamers loyalty and participation. The GameCredits mobile platform has over 300 games by 150 different developers, with projections for roughly 1000 games later this year. 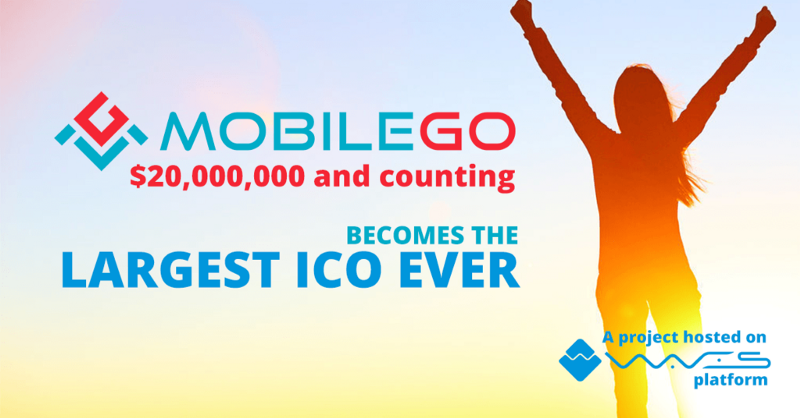 The crowdfunding campaign will last for one month, during which 70% of the 100 Million MobileGo (MGO) tokens will be available for purchase. Investors can participate with BTC, WAVES, ETH and, of course, GAME. No invesment cap has been specified for the crowdsale, although GameCredits Inc. reserves the right to terminate the ICO at any given time if too many funds are gathered. GameCredits Inc. provides multiple rewards to incentivize investors. Not only will the ICO have early investment bonuses, it will also have a special Incent bonus, that will see 0.5% of the funds returned to the investors in Incent tokens. After the ICO, MGO tokens will also run on a buy-back program in which a proportion of the revenues from the sales of GAME via the GameCredits wallet will be used to buy back and burn MGO tokens periodically, reducing the total token supply. This system is akin to the one used by Darcrus. The first of its kind, this MobileGo token will be a dual blockchain token that will exist both on the Wavesand on the Ethereumblockchain. This is done by issuing the 100 Million tokens on both blockchains, an overall total of 200 million. However, through the use smart contracts and locked wallets, only half of these tokens will be in circulation at any given time. This means that, in order to move the MobileGo token from one chain to another, the tokens will be locked in one chain and released on the other. The dual-token system leverages two very different blockchain platforms, Waves and Ethereum, to provide the best of two worlds. For example, the easy lite client, fiat integration capabilities, own decentralized exchange with new matching approach and the ability to pay for transactions with assets on the Waves blockchain along with the smart contract capabilities of Ethereum, make MGO a flexible token with multiple advantages. So, what will these tokens be used for, exactly? The GameCredits token serves as a useful tool for developers and gamers alike, providing an easy monetization system for developers and a much more efficient payment method for users. The MobileGo token, however, will play a completely different role that complements the GameCredits mobile platform and GAME token itself. Within the mobile platform, there are many ways to acquire the MobileGo token. These “quests” create incentives to participate in the platform and make the experience more enjoyable and goal-driven. The tokens can be acquired once a user reaches a certain level of status and through decentralized or centralized gaming tournaments hosted in the platform. Alternatively, the MGO token can also be purchased on an exchange (or through the ongoing ICO) as they yield multiple rewards for holders, including coupon reward discounts, free entrance to VIP gaming tournaments and access to private beta testing. So, while the GAME token will continue to be the chosen payment method for the mobile platform, the MGO token will provide incentives, rewards, and, most importantly, competition and excitement. To learn more about MobileGo, visit the official website and read the whitepaper. MobileGo becomes largest blockchain crowdsale in history! The Waves-hosted token has collected $20 million and counting. It has been a spectacular spring for Waves, with a series of crowdsales attracting more than $25 million in investment. EncryptoTel exceeded expectations, with surprise last-minute investment pushing it well over its intended $3 million cap to a total of $4.5 million. Then there’s ZrCoin, which launched last Thursday and which is closing in on the $2 million mark. But pride of place goes to MobileGo, which is hovering around $20 million in investment — more than Waves’ $16 million, more than even Ethereum’s $18 million. And it still has over a week to run, with rumours of big developments in the works. There’s been a pattern of large eleventh-hour investment with previous crowdsales, and it’s likely that exactly the same will be true for MobileGo. For those who don’t know, MobileGo is an initiative that aims to bring crypto to the gaming world, driving mass adoption by using GameCredits (GAME) as the de facto currency for financial transfers into, out of and between game economies — something that the legacy banking system makes extremely inefficient. MobileGo will act as a marketing fund for GAME, with some of the proceeds from these activities going back to MGO holders. (It’s no coincidence that GAME has seen all-time highs in recent days; with a $20 million warchest behind it, it just got fitted with a rocket booster.) The token will exist on both the Ethereum and Waves blockchains, moving between them using BlockSwap, though given the simplicity of the Waves wallet and the built-in DEX, it’s likely that a large proportion will stay on Waves. What’s interesting about the MobileGo crowdsale is that very little of the investment has been in WAVES. Most has been in bitcoin (over 6,000 BTC, more than $10 million) and GAME (3.8 million, or $6 million). That means Waves is being used exactly as intended: as a platform, not simply as another currency. There are many forms of money in the blockchain and fiat world, and there’s no constraint to invest using WAVES or to trade tokens using WAVES as the reference currency. That flexibility isn’t just useful: it’s vital. We’re very impressed at what MobileGo are doing, about the professionalism of the team and the prospects for both MobileGo and GAME. Waves is ‘blockchain for the people’, a crypto mass-adoption platform. MobileGo have leveraged their community and collected $20 million without any VC involvement. It’s a perfect fit, and a benchmark for what we can expect from crypto in the months and years to come. On the MobileGo dashboard you can now enter the address you would like to have your MGO sent to. You have three options. One, you can enter an ETH address to receive MGO as an ETH token. Two, you can enter a Waves address to receive MGO as a Waves asset. Three, you can enter one ETH address and one Waves address and receive 50% MGO as a ETH token and 50% as a Waves asset. If you are not familiar with how to get an Eth or Waves address, we suggest using the Waves Lite Client (http://wavesplatform.com/) for Waves MobileGo tokens and MyEtherWallet (https://www.myetherwallet.com/) for ETH MobileGo tokens. We can confirm that Bittrex and Liqui exchanges will be trading MGO. Trading will begin in approximately one week. Initially both of these exchanges will be trading the MGO ETH asset token not the Waves MGO token. You may want to keep this in mind when deciding whether you choose ETH or Waves MGO assets. We are currently in preparations with several other large exchanges and expect to have announcements regarding those listings in the upcoming days. Our goal is to have have both the MGO Waves and the MGO ETH tokens available for trading on public exchanges. However, it is up to each exchange to decide whether they want to list the MGO Waves token, the MGO ETH token or both. We cannot provide any guarantees or promises about which token will have more public exchange access. However, given the attraction of ETH tokens currently, we expect the MGO ETH token will have larger access to trading platforms for the foreseeable future. Please note, the Waves MGO token trading will be available on the Waves decentralized asset exchange found within the Waves lite client. As stated in the whitepaper, MGO Waves assets and MGO ETH assets have the ability to be swapped 1 to 1. This technology was originally developed by 3rd party developers. Upon further inspection, we feel the current blockswap technology has potential vulnerabilities and potential attack vectors. Therefore, we are in the process of upgrading this technology to make it more robust. This upgrade may take a month or more. During this time you will not be able to swap MGO Waves and ETH assets. Please keep this information in mind as you decide which type of asset you want to be initially distributed to you. In the dashboard you can now put your Waves address to receive your Incent token bonus. This bonus will be issued within the next 7-10 days. You can enter either a Waves wallet address or an Incent exchange address for claiming this bonus. Your Incent bonus will be based on the amount of MGO that you received.